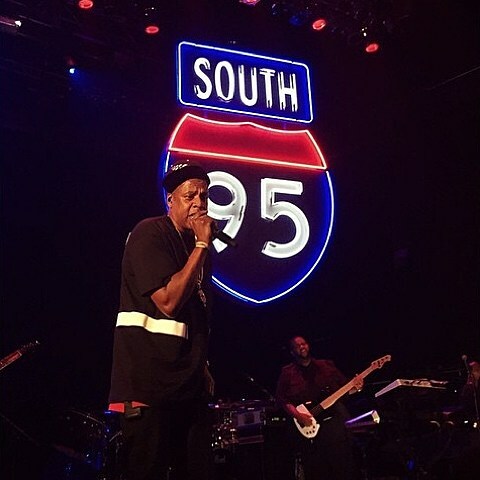 Jay Z‘s intimate “B-sides” shows happened at Terminal 5 on Saturday (5/16) and Sunday (5/17). Jay promised a night of older songs and deeper cuts, and he followed through on that promise with “Young Gifted & Black,” “Streets Is Watching,” “Friend or Foe,” “Show U How To Do This,” and a lot more. He did do some big hits like “Clique,” included a few freestyles, brought out Memphis Bleek, Beanie Sigel, Young Jeezy, Jay Electronica and more, and held a moment of silence for the late BB King. You can watch a video of the full night 1 set and check out the setlist, below.